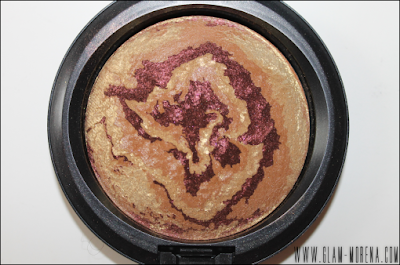 Glam Morena: MAC Mineralize Skinfinish - Earthshine. MAC Mineralize Skinfinish - Earthshine. 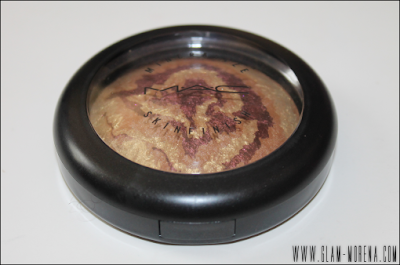 Earlier this month I picked up two more products from the MAC Heavenly Creatures Collection. 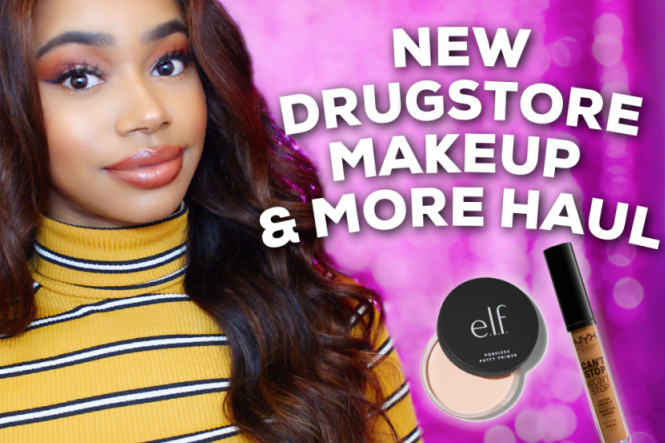 If you haven't already be sure to click here to check out more photos and swatches from that collection. I went back to get the fourth MAC Mineralize Skinfinish from this collection. Description: A luxurious velvet-soft powder with high-frost metallic finish. Smoothes on: adds buffed-up highlights to cheeks, or an overall ultra-deluxe polish to the face. Swatches of the MAC Mineralize Skinfinish in Earthshine. 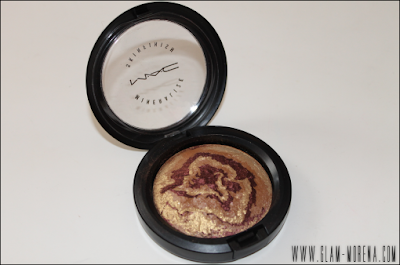 Did you purchase the MAC Mineralize Skinfinish in Earthshine? Thoughts?